The endless flat road, unnaturally red ground and unbearable heat. These three signs herald the fact you are getting closer to Australia's Red Center, and to the highlight of the trip which rises from the plain land: Uluru - Kata Tjuta National Park. We spent three marvelous days near Uluru and honestly it was much better than we have expected. The area is world-famous because of rock formation Kata Tjuta, also known as Olgas but especially for the monolith Uluru alias Ayers Rock which is one of the symbols of Australia. Uluru itself is 348 meters high, but what is even more impressive, its underground part reaches a depth of 5 km! You have two options how to get to this National Park. Travel by car, or you can fly to Yulara's airport from Sydney or Alice Springs. We opted for the former as this place was one of many we wanted to visit on our road trip. Only 10 minutes drive from the park entrance is Ayers Rock Resort, an artificially built village with accommodation, restaurants and a grocery store. You can find a place to stay and eat which suits your needs and budget. We stayed at Ayers Rock Campground because we could park our rented car there. Non-powered site cost us AUD 43 per night, but we could use a pool, WIFI, shower and open kitchen with refrigerators which was great as we could finally use fresh ingredients again and cook a little bit more than usual. Prices in the grocery store were slightly higher but nothing unaffordable. They had a sale for cooled sodas in the store all the time, and even though we never buy it in our ordinary life, it was so hot that we just had to! The trick is to finish the drink as fast as you can once you leave the store as it won't stay cool more than five minutes. We found restaurants quite expensive there, but it is up to you to consider a state of your bank account. There is even an option to book dining experience within the park boundaries with the view of Uluru during sunset. As a tourist, you'll most likely buy a three-day adult pass for AUD 25. Families and kids have discounts, check the rates on the official websites. In case you are going to be in the area longer or plan to visit multiple times, you might consider purchasing an annual pass for AUD 32.50. We visited Uluru at the end of December (December to February is the hottest time of the year) and were completely fine but if you do not tolerate the heat well, avoid this time. Scorching afternoon temperatures were hitting 40°C in the shade and walking around these natural wonders was demanding and exhausting. Probably the best time to visit is May to November - cooler temperatures (it can get surprisingly cold during nights) make the hikes safer. March and April receive the highest rainfall but only in consideration of desert climate. The highest risk within a park comes from heat exhaustion and dehydration. Try to start your hike before 11 am, wear a hat and drink a lot of water. Park management can close trails when the outside temperature reaches certain level early the day (usually 36°C before 11 am). Also, make yourself familiar what to do during mulga snake (especially King Brown Snake which is very dangerous) and dingo encounters even though it is unlikely you will see them when walking in designated areas. There's always been a debate if people should climb the monolith. Uluru is a sacred place for aboriginal inhabitants who are also traditional owners of this piece of land and they discourage tourists to climb. The climb itself can be dangerous, and because of the heat, you won't be allowed to start after 8 am. In November 2017 the news was announced that starting October 26, 2019, the climb will be officially banned. Be ahead and follow the decision from now already. In our opinion, climbing up will not give you anything extra, it is more interesting to watch the Uluru from the designated path and walk around then to disturb the sacred place. Be grateful you can enjoy this place, we did not climb up and did not have a feeling we missed something. Bear in mind that if something goes wrong, the help might not be as close as you think. The distances in Australia are vast, and the same applies to the Red Center. Drive from Yulara to Uluru is 20km long, Yulara to Kata Tjuta is 55km. There is a small Medical Centre in Yulara, but the nearest hospital is almost 450 km distant in Alice Springs. 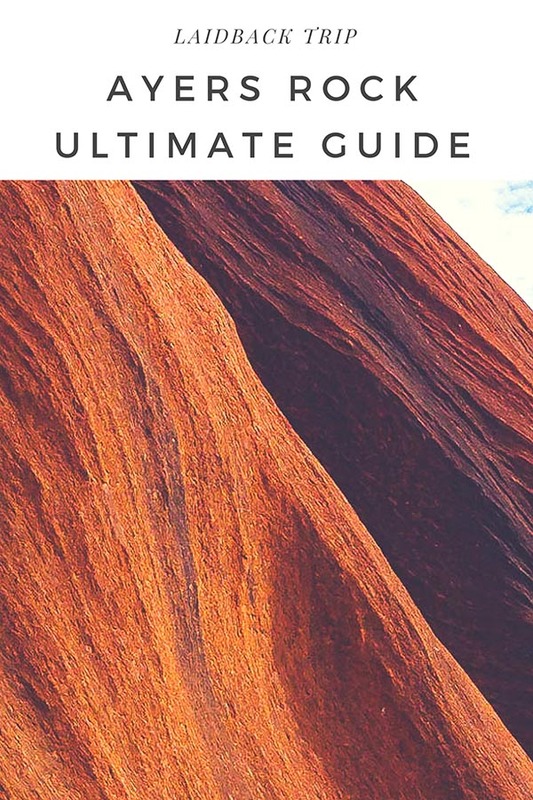 Before you start planning how many days you want to spend in Uluru-Kata Tjuta National Park, take a short break. Sydney is almost 3000km away from Yulara, the flight tickets are expensive and getting there by car is not for free either, and is time-consuming. Well, one day won't be enough (and it would've been a shame to visit for such a brief period), two days could be too busy and overwhelming, three and more sounds much better! As we have mentioned before, we spent three days in the area, and it seemed to us as a bare minimum as there is so much to do and see near this Australia's national landmark. No. The roads are sealed and in very good condition. The only risk while driving comes from the wildlife on the road and running out of gas.